Arundel Castle was established by Roger de Montgomery, a cousin of William the Conqueror, on Christmas Day in 1067 after he was given one-fifth of Sussex and the title of Earl of Arundel in return for his agreement to defend it. The castle was damaged in the English Civil War and restored in the 18th and 19th centuries. It has been the principal seat of the Dukes of Norfolk for almost 400 years. Stone apartments constructed for the Empress Matilda’s visit in 1139 still exist today. The 11th Duke of Norfolk held a large party at Arundel in 1815 to celebrate the 600th anniversary of the signing of the Magna Carta. Architect Frances Hiorne built a folly on the hill above Swanbourne Lake. Queen Victoria, when she and Prince Albert visited on 1 December 1846, did not appreciate the 11th Duke’s attempts at renovations, calling it “bad architecture.” Consequently, the 15th Duke, upon his inheritance of the Castle, carried on a “massive and scholarly renovation” of the entire house between 1875 and 1900, except for the library. This included carefully restoring the remains of the Norman castle. During the second world war, the Castle was occupied by British, American, and Commonwealth troops right up to the 1944 D-Day landings. The present 18th Duke lives in a private wing with his family. He had his wife, along with the Castle Trustees, have restored and redecorated the whole interior to its Victorian magnificence, as well as improved the visitor facilities. The gardens have been upgraded to match the historic authenticity of the Castle. On exhibit at the Castle are nearly all of the family’s collection of art and historic archives, including many brought from Worksop and Norfolk House. For more photos of Arundel Castle, check out my Pinterest Page. Piper Huguley and I first met in November 2012 when we were placed in a historical NANO group together by Savvy Authors. Although the four of us all wrote from different historical contexts—I was the only Regency author—we decided to continue our association and formed a Facebook group to help keep in touch. An offshoot of that is our History Lovers page. 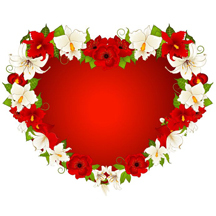 We agreed to beta-read for one another, and Piper sent me her draft of A Champion’s Heart in December just prior to the entry deadline for the 2013 Golden Heart competition (which this story finaled in, by the way). Frankly, it’s not likely I would have picked up this book on my own. I prefer the Regency era, while I might read earlier Georgian or later Victorian, but I wouldn’t have expected to enjoy an African-American, depression-era, inspirational romance set in the South. I mean, if reading is a sort of escape from the negativity of the world, why would I choose to read a story that’s bound to be depressing? But that’s not how Piper’s characters see things. Yes, there are some serious topics raised. But these characters learn to rise above them, depending on their faith, resilience, and determination to survive in a world that is biased against them. And yes, there is a happy-ever-after. Piper does write romances, after all. And you might just discover that multicultural romance can be just as satisfying and enjoyable as the ones you normally read… and that you really can identify with a heroine of another race or culture after all. Multicultural romance comes in a wide variety of colors. Have you ever read one of Jeannie Lin’s Asian romances? Other highly-rated multicultural authors are: Zena Wynn, Sienna Mynx, Latrivia Nelson, Delilah Hunt, Ruthie Robinson, Mallory Monroe, Lena Matthews, and Theodora Taylor. If you’re like me, you probably have dozens or hundreds of unread books on your Kindle and may not be in the market for another book at this point. But I’d like to challenge every reader here to set a goal to read at least one multicultural romance per month, and then come back here next December to report back. Which books/authors did you enjoy the most? What did you learn (about yourself, about other races/cultures, anything)? Do you think you will continue to seek out multicultural romances in the future? Why or why not? I’ve created a Susana’s Challenge Facebook page so that we can all interact in the next year. Are you game? Like my Susana’s Challenge page and let’s get started! When you follow your heart, never count the cost. Warning: Contains a single father with a photographic memory for numbers, and a country girl out of her element in the city. It all adds up to a heart-winning tale. 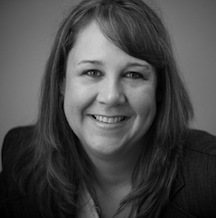 Piper G Huguley is the author of the “Home to Milford College” series. The series traces the love stories at a small “Teachers and Preachers” college in Georgia over time, beginning with the love story of the founders. Book one in the series, The Preacher’s Promise, was a semi-finalist in Harlequin’s So You Think You Can Write contest,and a quarter-finalist in the 2014 Amazon Breakthrough Novel Award contest. The Representative’s Revolt will be published in the Spring of 2016. Huguley is also the author of “Migrations of the Heart,” a five-book series of inspirational historical romances set in the early 20th century featuring African American characters. 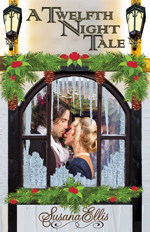 Book one in the series, A Virtuous Ruby won the Golden Rose contest in Historical Romance in 2013 and is a Golden Heart finalist in 2014. 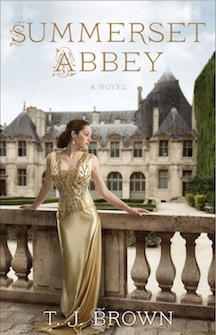 Book four in the series, A Champion’s Heart, was a Golden Heart finalist in 2013. A Virtuous Ruby was published by Samhain in July 2015. 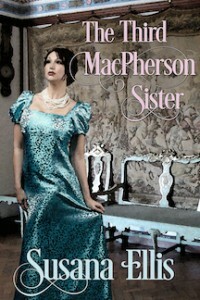 Piper Huguley blogs about the history behind her novels at http://piperhuguley.com. She lives in Atlanta, Georgia with her husband and son. Nancy will be awarding $15 Amazon or B/N GC to a randomly drawn winner via Rafflecopter during the tour. Click here for the Rafflecopter. Click on the banner above to follow the tour and increase your chances of winning. Haley Parker lost her academic scholarship when she quit school to care for her dying mother. Now, eager to return to her studies, she must find the perfect job that will allow her the freedom to attend evening classes. Her best friend Chloe teaches at one of Boston’s finest private schools, a job Haley had once hoped would be hers. When Chloe snags Haley a referral for a position as nanny to high-powered attorney, Eric Garrison’s, two young children, Haley looks forward to taking on the task. Eric finds himself drawn to the intelligent and loving young woman who has bewitched his children. It’s not long before he’s re-thinking his plan to avoid romantic entanglements. On a family vacation to Paris, he finds it impossible to resist the lovely, yet innocent Haley. Haley willingly gives up her innocence for a chance to make love with Eric, even though she realizes it will change their professional relationship forever. 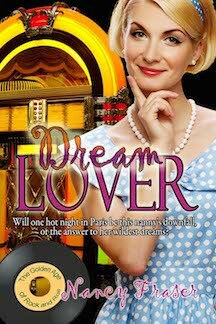 Dream Lover, as well as the four previous novellas in the Golden Decade of Rock and Roll Series, will be on sale for $0.99 during the tour. They finished the first book and were five pages into a second when the door to the library opened. “Daddy,” Winnie shouted, jumping off Haley’s lap and running toward the opposite side of the room. Haley stood and set the book down on the table beside the chair and then turned to meet Eric Garrison, the man who would hopefully become her employer. The moment their gazes met, Haley’s breath caught and her heartbeat picked up its tempo, fluttering inside her chest as wildly as the wings of the smallest hummingbird. The man was absolutely the most handsome she’d ever seen. Haley could only hope that were true. “She’s a lovely child,” Haley said once Winnie had left the room. “Discipline?” Haley repeated. The thought of spanking a child totally went against everything she believed. Haley suddenly understood what Stephen Garrison meant when he suggested his brother had scared off yet another nanny. The man was obviously not shy about voicing his opinion of other people’s choices in life. “At which point, I’ll be out a nanny.” His serious expression would have been worrisome were it not for the softness of his amber-colored eyes. He pressed a finger to his mouth and tapped his lower lip, as if in deep thought. He stood and Haley rose to her feet behind him. Her fingers itched with the urge to unfold the paper and see what he offered. Yet, it seemed somewhat tacky to do so right there in front of him. “The majority of the staff refer to me either as sir, or Mr. G. I do allow Mrs. Wilkes and her husband to call me Eric, in deference to their years of service with my family. Haley could have sworn she saw a muscle twitch in his cheek just before he leveled his gaze on her face. Heat radiated up from the Peter Pan collar of her blouse and warmed her neck. If he didn’t stop staring at her, she was sure she’d turn beet red at any moment. Just us? Was he crazy? Once their initial meeting was over, Haley had no intention of ever being alone with Eric Garrison again. When not writing (which is almost never), Nancy dotes on her five beautiful grandchildren and looks forward to traveling and reading when time permits. Nancy lives in Atlantic Canada where she enjoys the relaxed pace and colorful people. She invites you to visit her website, her blog, and follow her on Twitter. Or, more importantly, just enjoy what she writes. The author will be awarding autographed copies of books two and three of the series, A Bloom in Winter and Spring Awakening to two randomly drawn commenters during the tour (open internationally). Click on the banner above to follow the rest of the tour and increase your chances of winning. Click here for the Rafflecopter. A lump rose in her throat as she caught sight of the ornate casket, draped with a full spray of lilies, carnations, and palm fronds. The only reason she was here, clutching Rowena’s and Victoria’s hands in hers instead of shrinking into the background with the other servants, was the kindness of the man who lay inside. After Prudence’s father had died, her mother, who had worked at Sir Philip’s estate as a girl, had been sent to attend to Rowena and Victoria’s ailing mother. When his wife died, Sir Philip asked her to stay on to help raise the girls, and Prudence, exactly between his daughters in age, became part of the family. Prudence, who volunteered her time at several different poorhouses in the city, knew exactly what happened to young girls left alone in the world. She would forever be grateful to Sir Philip for not allowing that to happen to her. She blinked away her tears and occupied herself by looking at the rest of the congregation. Only a few looked familiar. Among them were Rupert Brooke, the high-strung and handsome young poet; Ben Tillett, the iron-jawed union leader; and Roger Fry, the controversial artist responsible for bringing London’s shocked attention to postimpressionism some years prior. These were some of Sir Philip’s friends, a motley collection of artists, intellectuals, and misfits. Because the Earl had arranged the funeral, most of the people in attendance were his peers, men from the House of Lords and others from the cream of London society. Sir Philip would have hated it. Gradually, Prudence became aware of a young man staring at her from across the aisle. Her eyes darted in his direction, then away. Moments later, unable to help herself, she glanced back to see whether he was still looking at her. He was. She turned slightly and stared fixedly at the bronze candelabra to the left of him, her cheeks burning. “I’m right here,” Prudence whispered, and gave both their hands a hard squeeze for emphasis. She didn’t look his way again. Once the service started, Prudence sank into a well of grief that threatened to drown her. The waves of it lapped at her from all sides, covered her head, and made sight almost impossible. Inside, her heart broke and a waterfall of sorrow poured from the cracks. 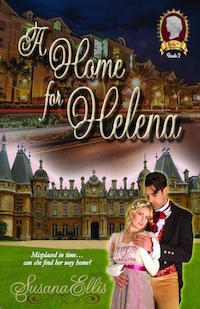 On one side, Victoria sobbed quietly, while Rowena’s stiff resolve buoyed her from the other. She clung to their hands as the service passed in a blur of speeches. They remained that way until it was time to get into the ornate black and gold funeral carriages that would take them back to their home in Mayfair for the reception. Behind the carriages stood a line of motorcars; most of the wealthy guests had long given up their carriages for the convenience and speed of automobiles. The Earl himself had several, and Sir Philip’s sleek Eton-blue Belsize sat idle in the carriage house, but the Earl insisted on traditional horse-drawn carriages. “Miss Tate will ride in the staff carriage.” The Earl’s voice brooked no opposition and his square jaw firmed. Prudence knew that look. Rowena’s pretty face held the same expression when she got all stubborn about something. Prudence placed her hands on Victoria’s shoulders. Tension vibrated through the young girl’s slender body and Prudence’s stomach knotted, sure that Victoria was going to throw a fit, the kind she used to throw when the family still called her baby and she wanted the biggest sweet in the shop. Even at eighteen, Victoria wasn’t above a tantrum or two if she thought the situation warranted it. But her waiflike face suddenly fell and her lower lip trembled. TJ Brown is proud of her two children but coming in a close second is the fact that she parachuted out of a plane and beat the original Legend of Zelda video game. Her young adult historical about Harry Houdini’s illegitimate daughter came out in June from Balzer+Bray. She also writes adult historicals under TJ Brown. She resides with her husband and way too many pets in Portlandia. Today my guest is Georgie Lee, author of Studio Relations, a story set in the Hollywood of 1935. Welcome to Susana’s Parlour, Georgie! I can’t say any one thing inspired me to be a writer. I grew up writing many different things including poetry, short stories and screenplays. I wrote a short story for a contest in sixth grade. At the time, I was fascinated by Greek mythology so I created a myth about the Greek gods and the creation of the silver swan constellation. The story won first prize. My professional writing career began at a small cable TV station in San Diego where I wrote marketing videos and public service announcements. I’d always dreamed of being a screenwriter, so I moved to Los Angeles and earned my MA in screenwriting. Despite my best efforts, screenwriting success proved a little elusive (OK, a LOT elusive). I’d always read romance novels and so I thought to myself, heck, I can write a romance novel. So I did. The first draft wasn’t pretty, but I learned a lot during the revision process. 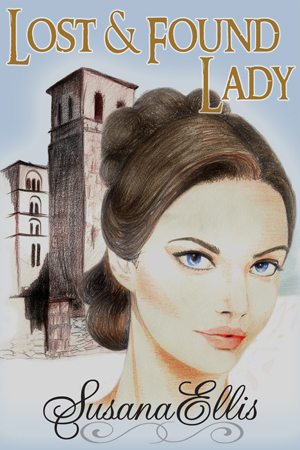 That story went on to become Lady’s Wager, a Regency romance and my first published novel. Some days, it feels like forever. What advice would you give writers just starting out? Keep trying and don’t give up. There were many years where I was writing and nothing was being published and then all of a sudden, one day, all the hard work began to pay off. It’s a long-term career so you can’t let setbacks make you give up. I do suffer from writer’s block. To overcome it, I either go back and edit until I find my groove again, or I do research. Sometimes a historical fact can inspire a scene and snap me out of the block. What comes first, the plot or the characters? Characters. I usually start with a specific scene involving two characters and then build the story out from there. In Studio Relations, I pay homage to my favorite film Gone with the Wind. The film the heroine directs is a Civil War movie, and I drew on my knowledge of Gone with the Wind’s production to help me make the scenes dealing with the film’s production authentic to the time period. Are you working on something at present you would like to tell us about? 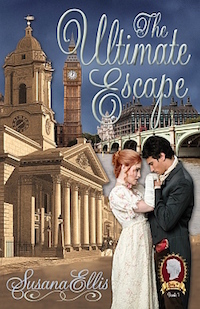 I’m currently working on a couple of Regency romances for Harlequin. 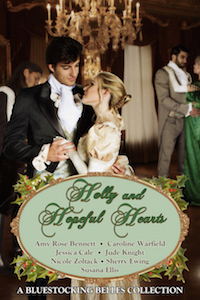 I also have a Regency-set novella coming out from Carina Press in July. I’m always reading more than one book at a time, usually a mix of historical non-fiction and romance. The non-fiction book I’m reading right now is Twilight Over Burma: My Life as a Shan Princess by Inge Sargent. The fiction book I’m reading is A Night To Surrender by Tessa Dare. What books or authors have most influenced your own writing? There are so many great books which have influenced me but the first was Watership Down. It was the first adult book I read and I loved it so much that I read it more than once. I enjoy post-apocalyptic stories and this one has such great characters and such a different kind of post-apocalyptic sense about it that I was drawn in and it has never let go. I’m a stay-at-home mom, so when my little one is awake, I’m not usually writing. I write first thing in the morning when the distractions are at a minimum and I am, for the most part, awake. I will write during nap time and, if I have the energy, in the evenings. I wanted to be a screenwriter, and a whale trainer at Sea World. What is your favorite food? Least favorite? Why? Chocolate is my favorite food. Bell peppers are my least favorite. When I was growing up, my mom used to make stuffed bell peppers. It was one of those dishes with nothing to like about it and everything to hate. It turned me off peppers to the point that I can’t even stand the smell of them (sorry, mom). I used to be a pantser, but now I really have to sit down and write a summary and work on my characters before I get too far into a story. Having a summary really helps me make the best use of my limited writing time. What is one thing your readers would be most surprised to learn about you? I once took classes in how to read and speak ancient Egyptian. For a time, I could read some hieroglyphics, but I’ve since forgotten most of what I learned. Is there a writer you idolize? If so, who? I’ve been inspired by so many great authors, it’s hard to pick just one. I’m going to go with a few classics, Oscar Wilde for sharp witty dialogue, W. Somerset Maugham for great insight into characters and D.H. Lawrence for well developed internal monologue. Plastic storage bins, dust bunnies and the random flip flop. I write both contemporary and historical and my historicals are set in many different time periods. I have one Regency and three contemporary romances currently available, and a novella set in ancient Rome. In the future, I’ll be focusing on the Regency. What is something you’d like to accomplish in your writing career next year? I’d like to get faster with my writing. I also wouldn’t mind hitting some kind of best-seller list, either one of the big ones, or even just one small one. Vivien Howard hasn’t forgiven Weston Holmes for almost derailing her career five years ago. Female directors in 1930s Hollywood are few and far between, and a man who coasts by on his good looks and family connections can’t possibly appreciate what it took for her to get to where she is. But when the studio head puts Weston in charge of overseeing Vivien’s ambitious Civil War film, she realizes she has a choice: make nice with her charismatic new boss or watch a replacement director destroy her dream. Weston Holmes doesn’t know much about making movies, but he knows plenty about money. And thanks to the Depression, ticket sales are dangerously low. The studio can’t afford a flop—or bad press, which is exactly what threatens to unfold when an innocent encounter between Weston and Vivien is misconstrued by the gossip rags. The only solution? A marriage of convenience that will force the bickering duo into an unlikely alliance—and guide them to their own happy Hollywood ending. “I read the script a couple of months back. It’s a war movie. A woman can’t direct a war movie.” He tossed the script onto his large mahogany desk and leaned back in his leather chair, his hands clasped over his round belly, his graying eyebrows knitted as his eyes bored into her. Earl’s imposing attitude would have cowed a lesser director, but Vivien had played this game too many times with the old studio head to be scared off now. “I know exactly how I’m going to shoot it.” She sat down on Earl’s plush leather sofa, pushing back her shoulder- length curly brown hair. She crossed her legs, thankful Miss Hepburn’s popularity had made wearing trousers respectable. Even if the Women’s Decency League proclaimed pants the ruin of womankind, Vivien preferred them to skirts and always made sure they were femininely tailored to complement her dark hair and eyes. Being one of only a few female directors in Hollywood, she played a man’s game, but she was always careful to remain a lady. Her career depended on this tightrope walk. Earl leaned back in his chair and studied her. She knew he was intrigued, but she also knew he hated to let directors think they were getting their way, even if they were. “The boys in New York won’t like the idea of a woman directing a war movie,” he replied, selecting a cigar from the humidor on his desk. “But I’ve got to love it first.” He clipped off the end of the cigar and placed it between his lips. Vivien picked up the large silver lighter from his desk, popped open the cap, sparked the flame, and held it out to him across the desk. Earl leaned forward and lit his cigar, then sat back in his chair, slowly drawing in the smoke. Vivien knew she had him. She smiled, waiting for him to make the next move. “Who’d you have in mind for the lead?” he asked. “Has nothing to do with it.” Vivien was on shaky ground, and she knew it. “The boys in New York are going to insist on a big star, especially when they get wind that I’m letting you direct a war movie,” Earl protested. “I’ll start today.” Vivien jumped to her feet. She’d been planning the film on the sly for weeks and relished the chance to finally work on it out in the open. “Don’t make me regret this, Vivien,” Earl called out after her. “You won’t, I promise.” She winked, then slipped out the door. A dedicated history and film buff, Georgie Lee loves combining her passion for Hollywood, history and storytelling through romantic fiction. She began writing professionally at a small TV station in San Diego before moving to Los Angeles to work in the interesting but strange world of the entertainment industry. Her traditional Regency, Lady’s Wager and her contemporary novella Rock ‘n Roll Reunion are both available from Ellora’s Cave Blush. Labor Relations, a contemporary romance of Hollywood is currently available from Avalon Books. Mask of the Gladiator, a novella of ancient Rome is now available from Carina Press. When not writing, Georgie enjoys reading non-fiction history and watching any movie with a costume and an accent. Please visit www.georgie-lee.com for more information about Georgie and her novels.